Wide spaces and refined furnishings, clear forms and essential colors, natural materials and beautiful details. 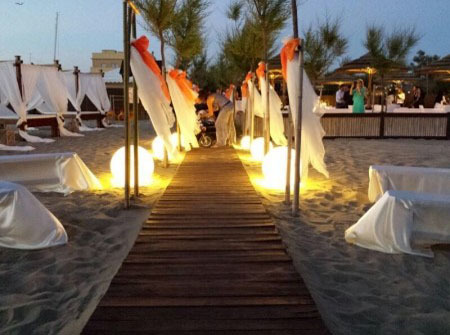 The beach of “La Dolce Vita” is waiting for you to realize your most romantic day in a unique and magical atmosphere. 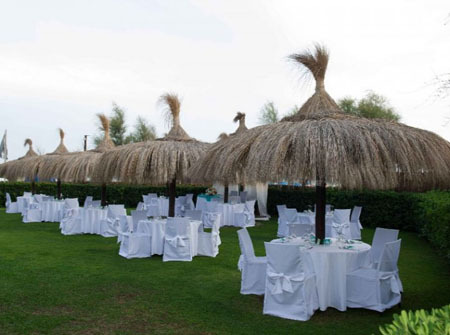 An ideal location by the sea, with a romantic dedicated structure where to perform the ceremony, but also wonderful spaces in the green, with an elegant and refined restaurant with both indoor and outdoor dining, the latter surrounded by a lush garden. 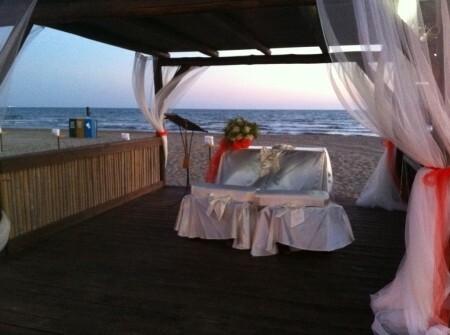 As frame, dreamy views, the colors and scents of the sea, its luminosity and its sunsets. Would you your reception to be romantic and chic or more creative and confident, every detail will tell your personality, and here it will be truly a fabulous day.